Cute Fire Truck Bedroom Decor Ideas for Boys! How to create an amazing fire truck bedroom for your little boy! One of the best bedroom theme ideas for toddler boys is undoubtedly a cute fire truck and fire department themed bedroom! It is also super easy and FUN to create for moms and dads! 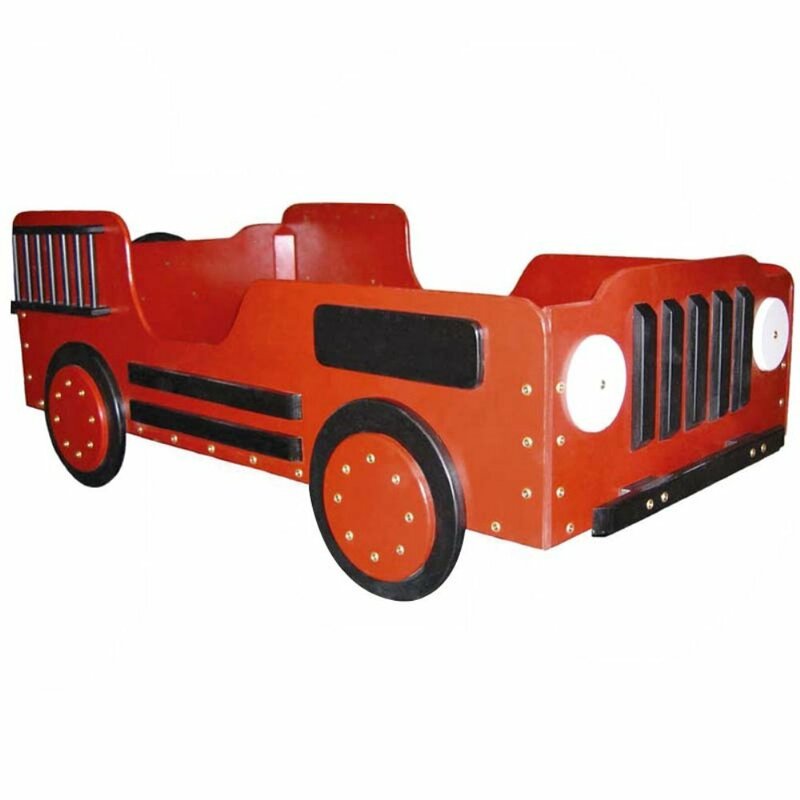 But if you want the whole nine yards and get the best and most beautiful fire truck themed furniture out there I suggest you start with the fire truck bed! In my opinion it is the most important piece! 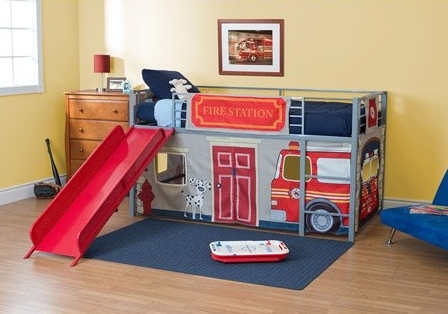 This is a gorgeous and ultra-FUN fire department theme twin loft bed for boys with a slide! Enough ‘talking’ (or writing) about it! Let’s get to some action, shall we? Gorgeous Fire Truck Shaped Bed! 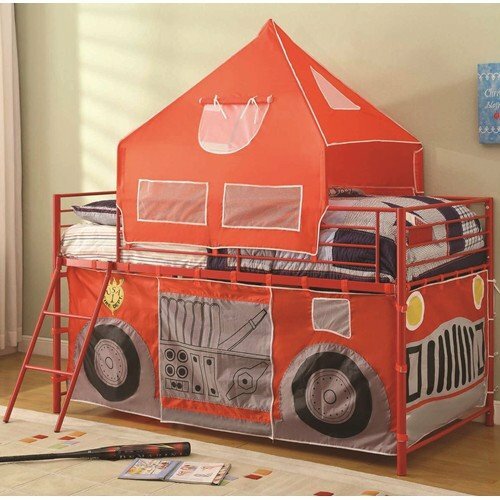 Best Fire Truck Bedroom Furniture! It all starts with the bed! 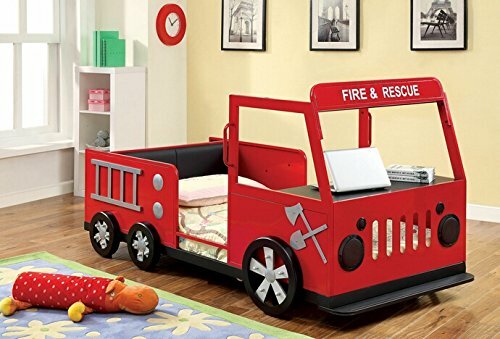 When I saw this amazing fire truck toddler bed for sale I went absolutely crazy with excitement! Isn’t it the most beautiful, fun and unique fire truck toddler bed ever?? Just having this bed it’s enough I think! Your little boy will have the most wonderful fire fighter dreams every night! He will be the hero who saves everybody! Another gorgeous and FUN fire engine loft bed for boys! It looks just like a ‘real’ fire truck! Great bed for a 4 and 5 year old boy! They love to play underneath the bed, pretending they are real fire fighters getting ready to save lives! 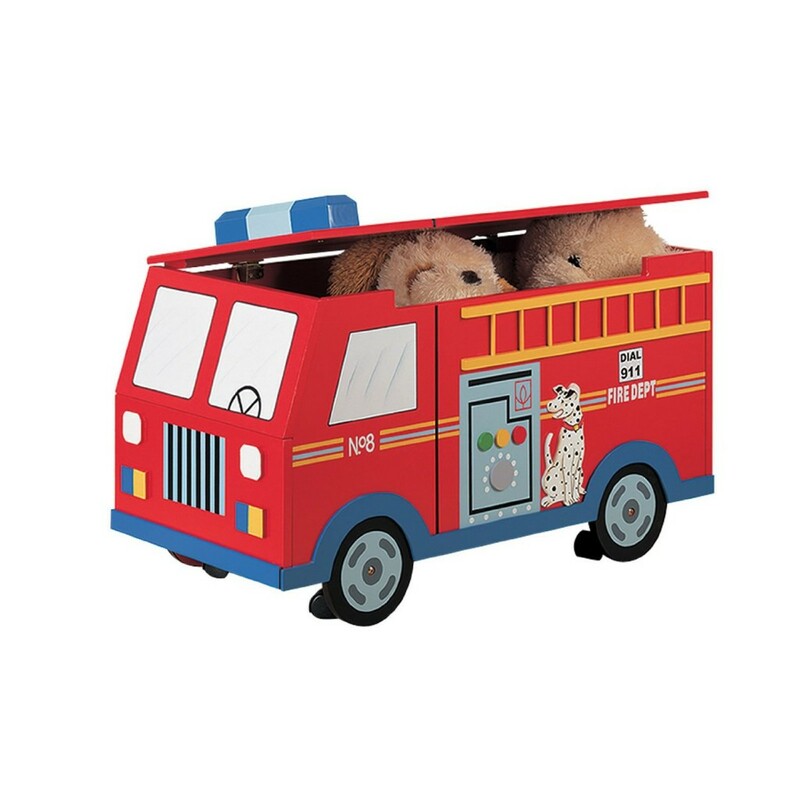 This is a super cute, fun, unique and affordable fire truck shape bed for boys ages 2 to about 4 years old! It was handcrafted using birch wood and it’s very sturdy! Going to bed every nigh will be very exciting for your little one! How about getting this awesome fire engine toy chest too? It’s fun, it’s practical and very cool! Perfect to place it right next to the bed! It’s one of the best ‘firefighter gift ideas’ for toddler boys! I love the fact that it is in the shape of a real truck! Great Fire Fighter Themed Furniture Ideas! 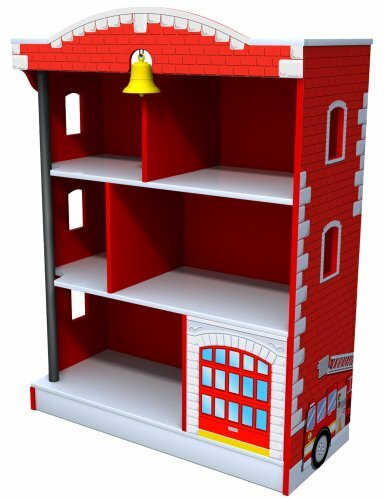 Have you ever seen a firehouse bookcase before? How perfect is it to complement your little boy’s fire truck bedroom? Great to have next to the fire engine toy box! It has six separate compartments for storage, a ‘hidden’ compartment garage door and even a fun yellow belt to alert everyone it’s time to go save lives! I just found this cute and affordable fire truck toddler table for sale! Now your little boy’s fire fighter’s bedroom decor is getting complete! Great to have next to his fire truck bed! Fun Fire Truck Step Stool with Storage! 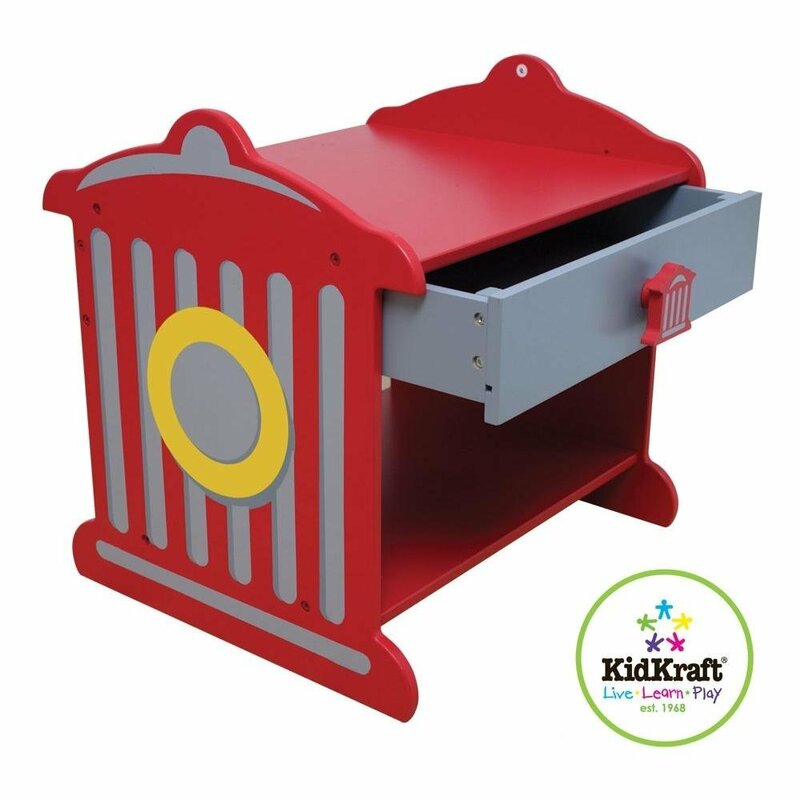 Now it’s time to get a fun and very affordable fire truck step stool with storage space for your little boy’s bedroom! It is a very useful piece of furniture for any toddler’s bedroom! They love to climb stuff! Great gift idea for a 2 year old boy! I am having so much fun finding all this amazing fire truck bedroom decor pieces! Loom what I found now! 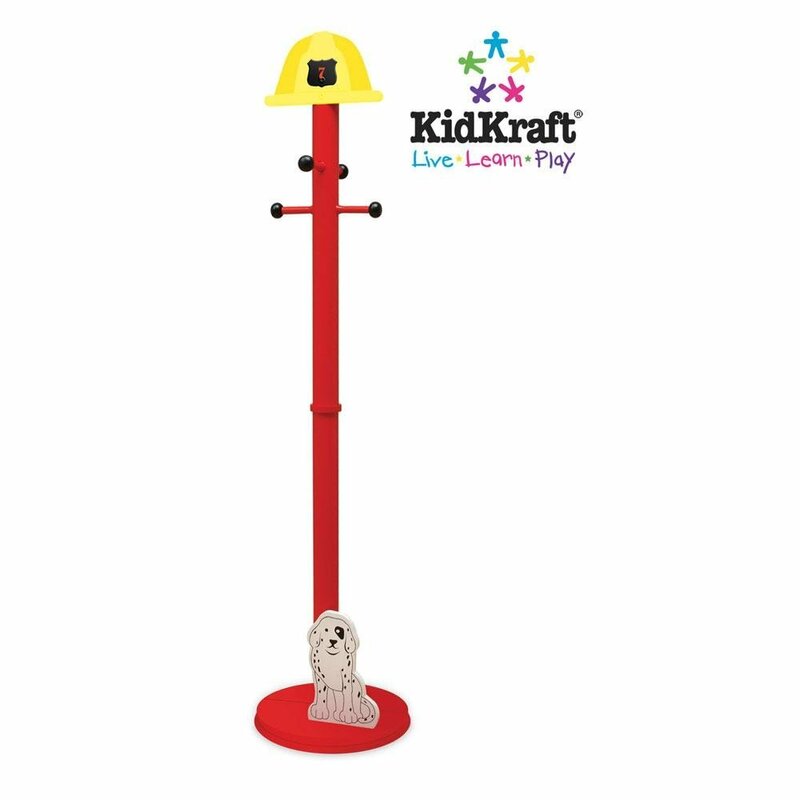 A fun and useful fire truck clothes pole for sale! 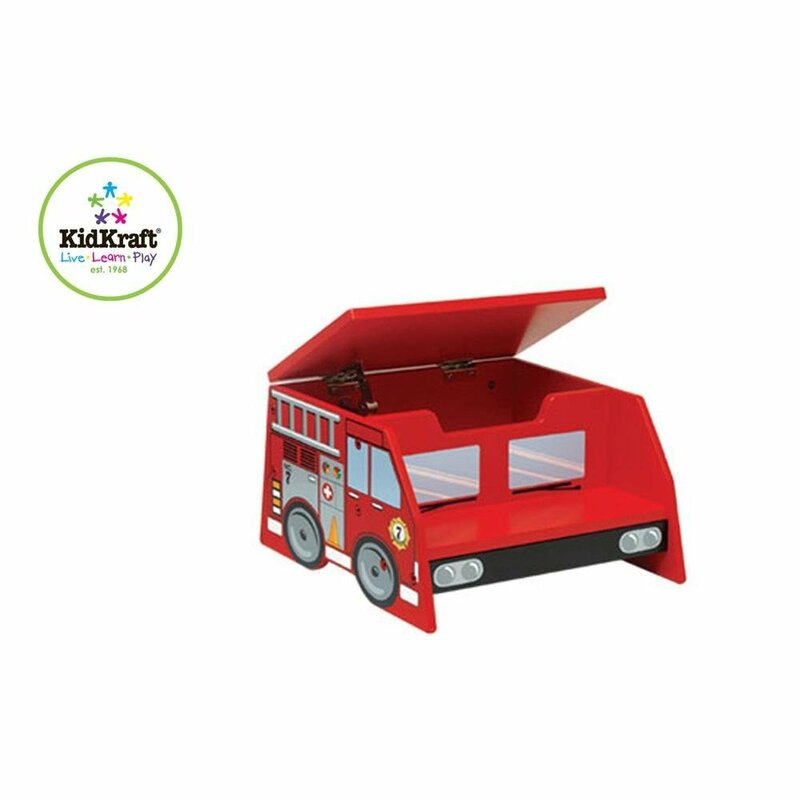 Cute Fire Truck Folding Ottoman for Kids! 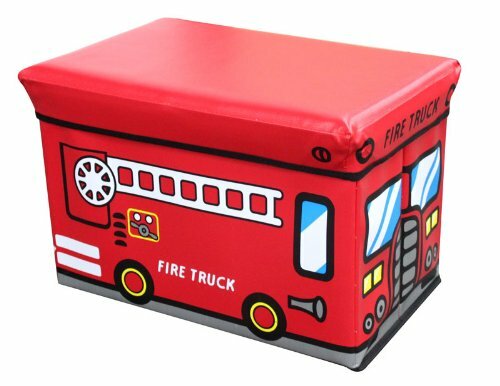 This is a fun and very bright colored adorable fire truck storage bench ottoman for sale! It’s also very cheap and will definitely add even more to your toddler boy’s amazing fire truck themed bedroom! 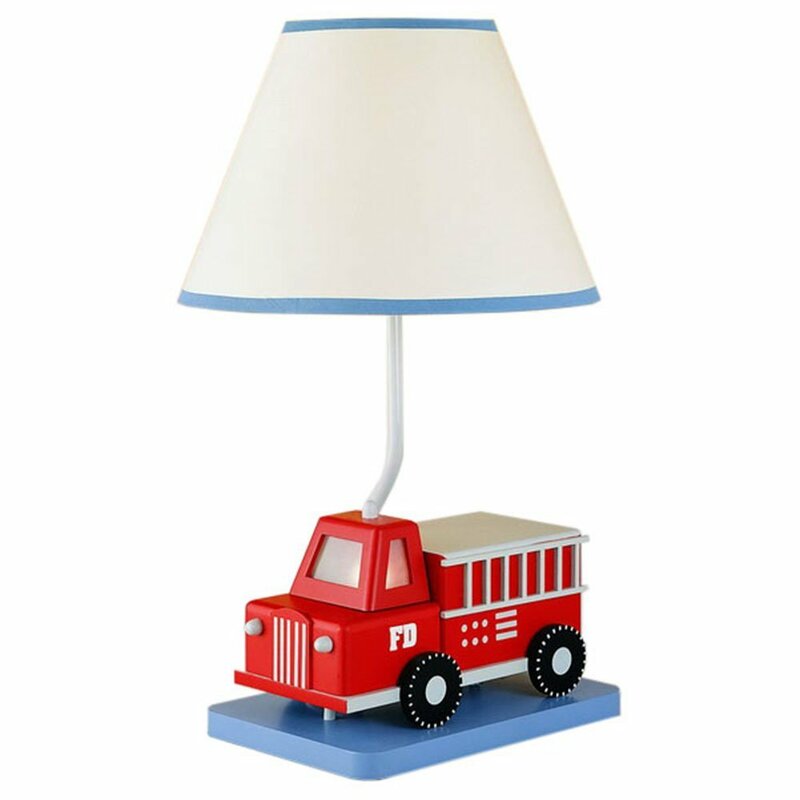 How about getting this Cute Fire Truck Table Lamp! *I hope I have been helpful here showing you these fun fire truck bedroom furniture pieces!